The site of a formerly run-down apartment complex on Flint’s north side may soon become a mixed-residential development. This week, the Genesee County Land Bank announced it’s working with developers to create 78 units of affordable rental housing for low-income residents. A Genesee County Land Bank official resigned today, a day after a tape surfaced of him using a racial epithet to describe Flint residents. A program to mow and maintain vacant lots is having a side effect in Flint: lower crime rates in those neighborhoods, including assaults, burglaries and robberies. A Michigan State University researcher compared crime data to neighborhoods with active “clean and green” abandoned lots. He says his survey of crime stats from 2005 to 2014 shows crime rates decline as “clean and green” lots take hold. 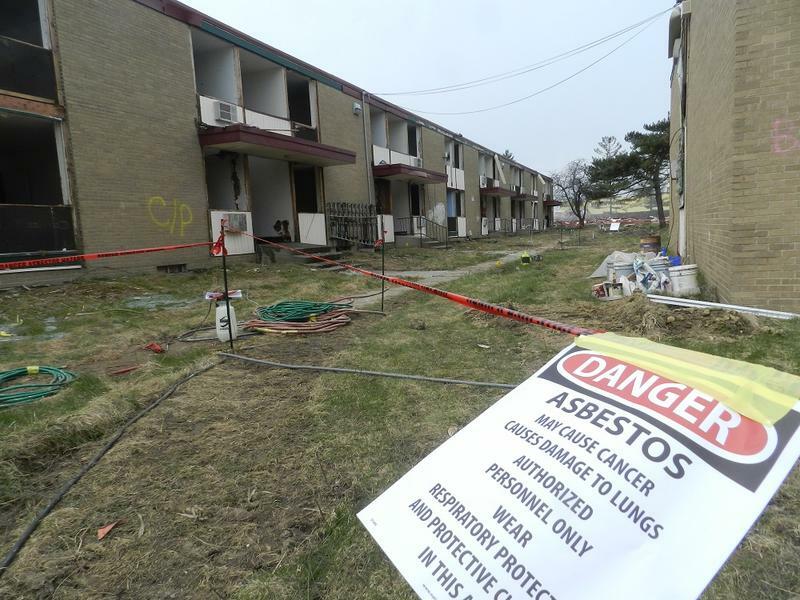 A long-empty north Flint apartment complex is being demolished. 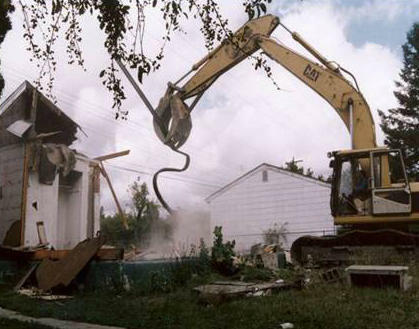 The Genesee County Land Bank is spending $1.7 million to raze the 13-building complex. Shawn Harris is the president of the local neighborhood association. He hopes the demolition will clear the way for a much-needed grocery store on Flint’s north side. “We lost our Kroger’s and our Meijer’s. So I think this would be a good place to put another grocery store,” says Harris. Land bank officials say they are reviewing several proposals for the eight-acre site. Genesee County has set aside $1 million to demolish blighted tax-foreclosed properties in the out-county area. The city of Flint, which is the county seat, has seen much of the focus of the area's anti-blight efforts in recent years. A plan to shrink the size of the Carriage Town historic district in Flint is running into opposition from people who live in the neighborhood. Carriage Town is located just across the Flint River from the city’s downtown core. It’s a mix of neatly restored, large single-family homes and blighted buildings. A place where General Motors built cars for nearly century may later this year begin transforming into a city park in Flint.